« What’s on a Millionaire’s Shopping List? 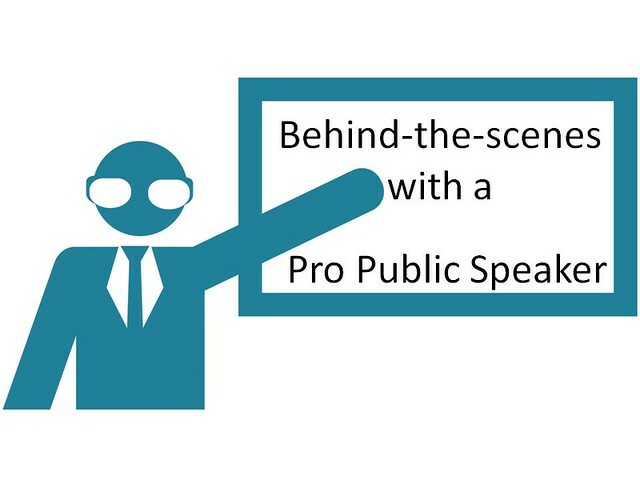 Come look at the good and grueling sides of public speaking and let me help you be a better speaker. Once I meticulously recorded myself speaking – watching it, speaking-recording- watched it ; tweaking, polishing, and buffing my delivery dozens of times. Once I was done, since I had my material tight, I was able to pay more attention to the audience. Applying practice to free up my focus to be on the audience helps bring my speaking motivation back to love for the people I’m talking to, how the story can benefit them, and not my enamoration with the topic. The push/pull back-n-forth of wanting to have the presentation be natural versus wanting to be effective. There are odd things presenters will do when delivering a talk which are strange but do increase the stickiness of the presentation. Starting out as a speaker I want to feel natural, but giving a speech is not the same as having a conversation. This statement helped me thing from the audience side of the room. I should be more free to try something quirky from time-to-time that will help my audience remember the message. The last speech I delivered was about balance and used the illustration of striking the tree pose in yoga. I did the yoga pose during the speech and it was a big hit. It made me think about how doing a yoga pose would not work in text, or an audio track, and should focus more of my speeches on content leveraging illustrates that benefit the most from being live and in-person. I’ve been told in speech feedback that I move on the stage in confidence and my gestures help abstract ideas form a picture in the listeners mind. I think the movement is coming from taking dance and tumbling class. I’m not great dancer, but the classes did help me feel confident in moving across a stage, (even when the confidence isn’t warranted). Dance will help you with body language and movement. Singing techniques will help with your voice. An auctioneer class will teach you how to speak faster. Practicing a related disciplines can strengthen the muscles around our public speaking joints. When reading I’ll make a highlight when the author references a research source, or recommends a book. I’ve found some of the best off the beaten-best-seller-path books this way. Sign up for a performance class, (such as a dance class or an impromptu theater class) to help expand your public speak skills. I’ll be taking an impromptu theater class. In the comments, have you taken performance classes before? If you did what was the impact to how you presented?